The French town of Saint-Malo is for many a typical European town rich with history and charm, with cobblestone streets, a fortress and medieval layout. During its tourist season the town’s average density is more than double that of cities like Tokyo and Vancouver, reports ArchDaily. However, Saint-Malo, on the coast of France’s northwest, was severely damaged during World War II. 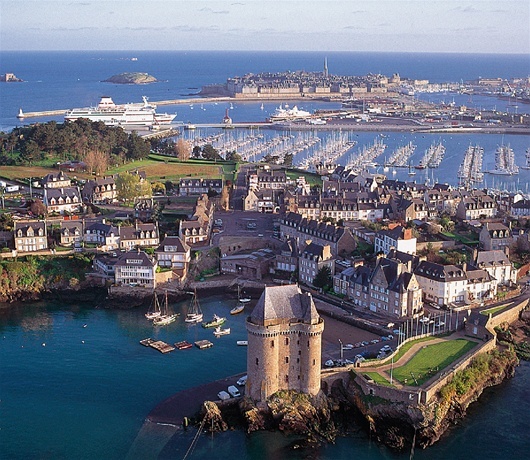 Dating back to the 1st century BCE, Saint-Malo was given the status of rights of asylum in 1144. This encouraged many people at odds with law and order to move there, including the French Corsairs (the King of France’s appointed pirates). As the town grew in size, the walled coastline continued to play a key role in defining Saint-Malo. First invaded by the Nazis in 1940, the Allied forces incorrectly believed the Axis powers had major armaments built up within the city. Saint-Malo was severely bombed and was almost completely destroyed in 1944 – nearly 80% of the city was lost. Following the war, Saint-Malo was rebuilt. The difference, ArchDaily points out, is that it was restored to maintain its medieval character. 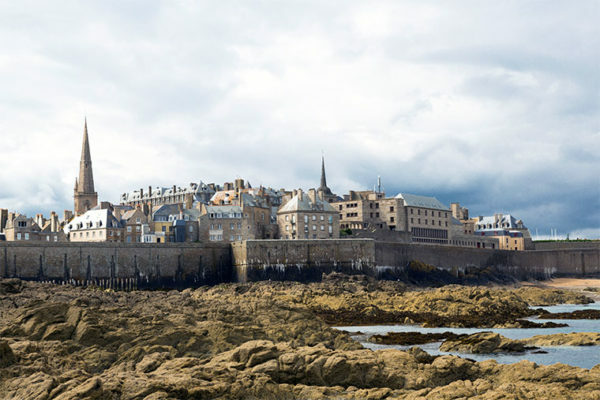 In contrast to cities like Warsaw and Dresden, also rebuilt after being severely damaged during the war, Saint-Malo shows no obvious signs of modern construction. Saint-Malo thus seems to be a case study to examine a time when European cities were developed around medieval transit systems, when walkability was necessary, and when the wealthiest lived in the urban core. 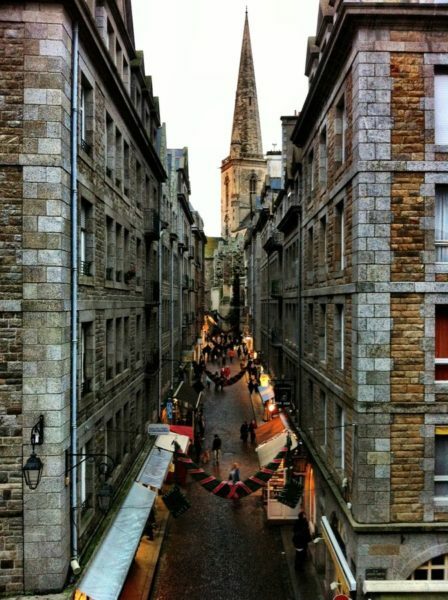 During its peak tourist season, Saint-Malo accommodates more than 200 000 people. This translates to roughly 57 people/acre, while the figure for Tokyo is 25 people/acre and 22 people/acre for Vancouver. It is a lesson in how traditional urbanism can accommodate dense populations without the default of becoming a high-rise megacity.